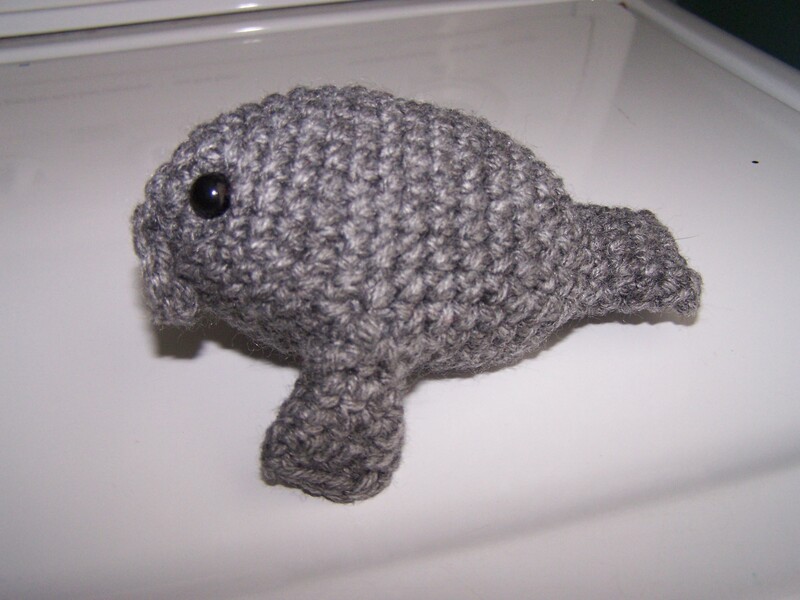 This is the little manatee I made for Heather over at Frankenpug. She won my 100th post give away! Since he is a water baby, I thought he would fit with the Summer them e….. I can’t share the pattern as it wasn’t my design…….but it sure is cute! I’m sure Heather will be VERY happy to receive the little sweetie!